Discussion in 'SWNN News Feed' started by SWNN Probe, Feb 8, 2019. Lots of new details for Star Wars Episode IX have been popping up as of late with the production looking to wrap up pretty soon. While we're still waiting on that dang title, a new series of rumors have arrived that tease various tidbits about the settings and characters, and give us a clearer idea of what the main story of the film will be. Making Star Wars have been up to writing several pieces about various story details in the past week. Usually, they end up doing that right around the time that there's real movement toward the progress of a major project, and we all know that Episode IX is about to wrap in a few weeks or even days. It stands to reason, then, that we're about to get a lot of new information on this film, both official and rumor, as we get closer to release, and MSW have just shared three interesting articles covering a variety of details related to the story and settings of Episode IX. 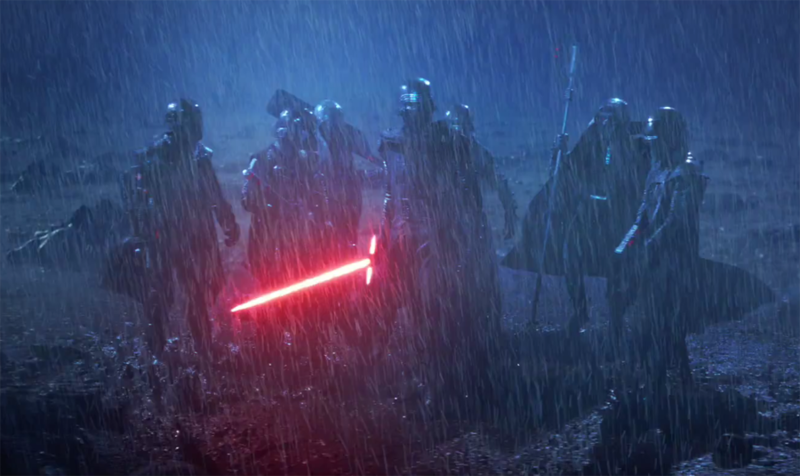 Knights Of Ren, Where Have You Been? The first piece focuses primarily on a set of characters that we've barely seen in the Sequel Trilogy in spite of being teased at since the beginning: the Knights of Ren, who have been mysteriously - and perhaps conveniently - missing for two-thirds of the trilogy. Well, writer Jason Ward has an answer: his sources in contact with him have told him that they've returned from 'The Beyond'. What 'The Beyond' is is currently unclear, but it sounds like it's something of great importance that will be properly explained in the film. Part of me wonders if this is tied to the Acolytes of the Beyond characters that appeared in the Aftermath novels, or if 'The Beyond' itself involves the Unknown Regions. To get back on topic, there are a few other details of note in that article. There are apparently new kinds of Stormtroopers that are clad in red armor that are being referred to as 'Sith Stormtroopers', in spite of the Sith being extinct. They answer only to Kylo Ren and the other Knights of Ren. But they're not the only kinds of infantry working with the First Order; they've recruited private armies and militias that sympathize with the First Order's goals. The end result suggests that the many, many battles that we'll see play out over the course of Episode IX are going to feature all kinds of soldiers on the First Order side, so we won't just be looking at bucketheads. Hopefully, the same will be true of the Resistance (and what's left of the New Republic, if it comes into play). Ward hypothesizes something interesting: that the threat from 'The Beyond' is what ends up causing Kylo Ren and Rey to directly cross paths once again. And it doesn't sound like Rey is captured and brought to Kylo Ren, akin to Luke being taken to Darth Vader; if what he's heard is true, then the Knights of Ren may be enacting a coup against their master in the midst of a chaotic war, and Rey may be there to show him the door. A Race Against Time... A War To End All Wars! The second piece talks about a mysterious plot device that will drive the plot forward. Apparently, neither side possesses this 'delightful but somewhat controversial' MacGuffin, and it may just be the key to ending the war, so they drop everything and pursue its whereabouts. It's not clear what it is. 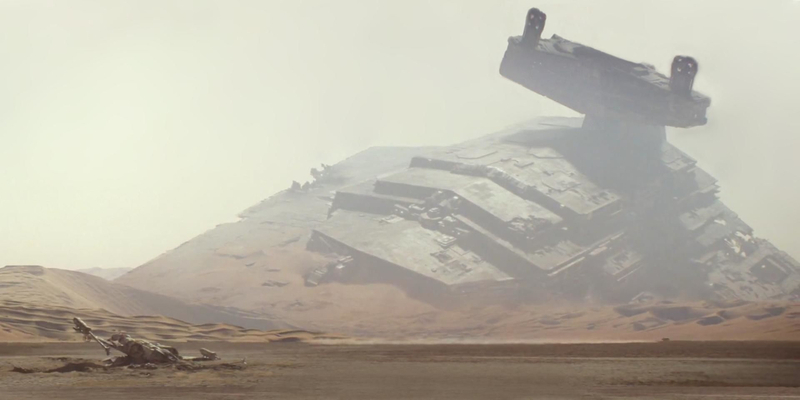 At a certain point in the movie, all of the major heroes are in one place - the 'classic sand planet' (possibly Tatooine) that is represented by the filming in Jordan shoot - after partaking in the war effort throughout the Galaxy Far, Far Away in different ways. 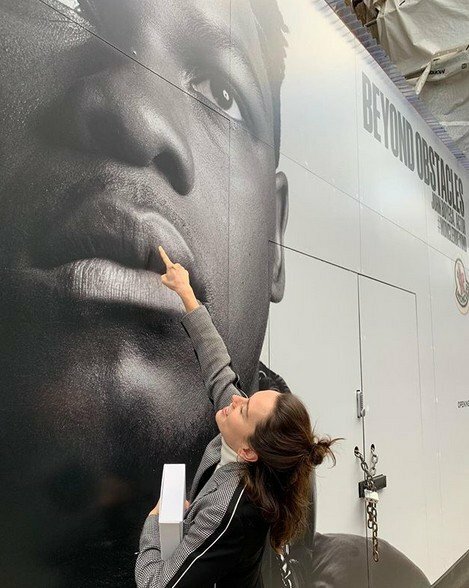 Poe and Finn apparently spend a good chunk of the movie having adventures as war buddies, and get to a location before Rey arrives and there's some kind of joyful reunion or something. But there's a twist: Kylo Ren is there with them as well. Ward isn't sure if he's good or evil at this point, but Adam Driver apparently filmed a few scenes in Jordan that may or may not indicate that he spends time with the group. It doesn't seem like he was there long enough to film an action sequence, so he is there likely as an ally that nobody really trusts, or perhaps he's there as a fugitive with nobody else to turn to. Ward compares the tone of the 'race against time' subplot to Raiders of the Lost Ark in terms of tone, but he also notes that several battles are going to happen in the film to serve as interludes to this leg of the story. The script is allegedly pretty large, even by Star Wars standards, which suggests that there are going to be a lot of really big action sequences taking place throughout the film. Battles that are large, even by Star Wars standards - and there could possibly even be skirmishes that don't involve any of the movie's central characters. If they're selling Episode IX as the last Skywalker Saga movie, then it's better to go out with a bang. 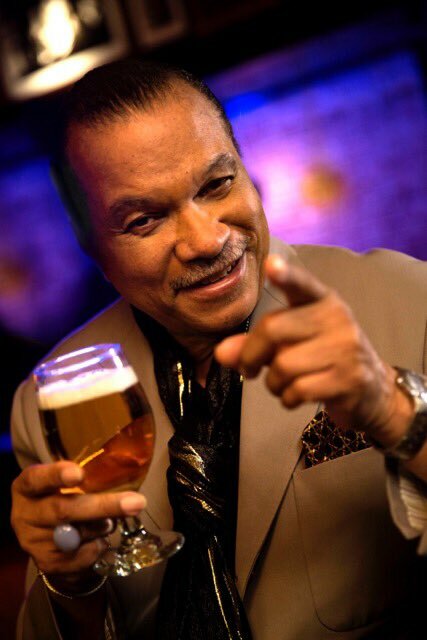 Oh, And Don't Forget Lando. Meanwhile, Rey is back to having a hairstyle closer in appearance to The Force Awakens than The Last Jedi, and although there's no word on what her costume is going to look like, there's apparently a practical reason for having her old hairdo make a comeback. Meanwhile, Naomi Ackie's character is apparently a Resistance trooper that carries a bow of some kind. There's also another female character wearing a helmet - one who Ward presumes is Keri Russell's character. (A Knight of Ren, perhaps?) Lastly - and most amusingly - there's apparently a scene in the film where C-3PO will somehow end up wearing Chewbacca's bandolier while wielding Rey's staff. Either we're going to see the return of Battle Droid Threepio from Attack of the Clones, or the poor protocol droid is going to be used as a glorified coat rack, it seems. They have some images of the Black Park set as well, so check out their piece if you want to take a look. 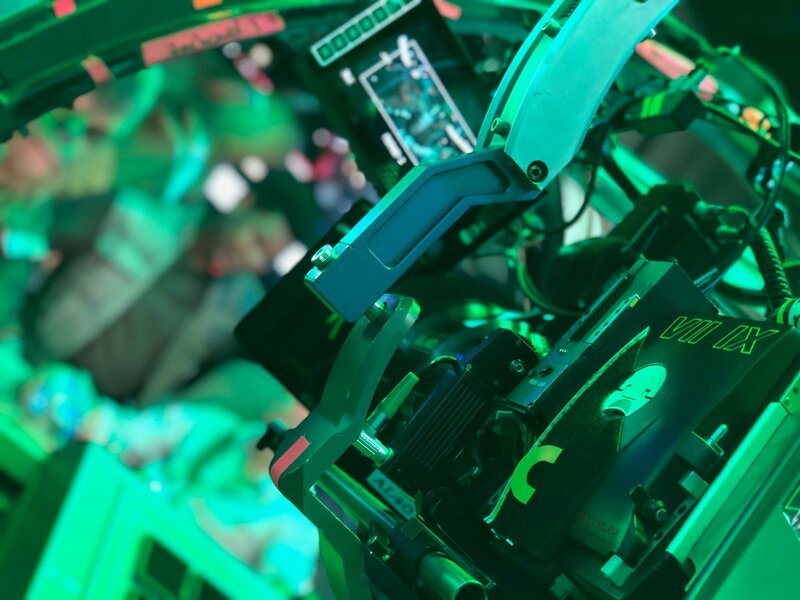 The other details of note are that there are three all-new varieties of TIE fighter that we will see in this film, and that there's some kind of sleek red spacecraft. Lastly, the teaser for the film is described as being 'a tearjerker', without any specific context as to what's moving about it. And with the promise of more Episode IX tidbits to come, this trilogy of articles come to a close. With all this in mind, here are my thoughts on what to make of all of this information. Looking at all of this information together, I think we can get a vague idea of how at least part of Star Wars Episode IX is going to play out, coupled with plenty of connective tissue that I'm making up as I go along. My guess is that Episode IX is going to start with a sequence where all the major characters are in one place before they get sent off on other missions (Poe and Finn getting to be bros, while Rey will probably look for some answers regarding the Force and the massive responsibilities placed upon her). We will get to see Kylo be the Renperor he was always meant to be, as he welcomes his previously-absent allies back into the fold of the First Order. But it seems like they're there for their own devices. Whether or not Kylo Ren is morally-conflicted when he learns what his subjects are planning, or the other Knights of Ren just decide to take advantage of a perceived weakness, Kylo is betrayed during a confrontation with Rey when the Knights of Ren decide that he's no longer worth following. While Kylo Ren and Rey both escape, they end up being taken on different paths. Rey is contacted by Finn and Poe to head to Tatooine, which is where Lando helped them figure out that it was where they needed to look to find the MacGuffin. Meanwhile, Kylo Ren ends up going on a bit of soul-searching as a fugitive and takes a detour elsewhere before learning that he needs to go to Tatoooine - possibly guided by his dear old Ghost-Uncle, Luke Skwyalker. Paths cross on Tatooine as the four end up becoming unlikely allies with a common enemy, with an uneasy alliance shaping the course of the remainder of the story. Whether I'm ridiculously off-base or I hit the nail on the head here with a small portion of the narrative to Episode IX, I think that we can safely put any fears that this movie is a loose remake of any of the other Star Wars movies to rest at this point. It sounds a lot like Episode IX is going out of its way to be a crowd-pleaser that will continue with The Last Jedi's trajectory of helping this trilogy stand out from the others, providing a satisfying conclusion to a story arc of nine films in the process. What do you think of all this information? Does this make you more interested to see where the story of Episode IX will end up going? Let us know what you think in the comments section below, or via The Cantina. I really like the speculation offered at the end. The mere possibility Kylo Ren walking around the Lar's homestead is enough to give me chills. I do hope that all paths lead to Tatooine. great article. Mr Ward has been very quiet of late.. but he has certainly got our collective spoiler juices flowing with these tidbits. what (or indeed who) could the MacGuffin be? Probably Shimi Skywlaker. I have a feeling Anikan hid something of great importance within her dead body. Padme! Kylo Ren found a way to bring her back to life, but in doing so attracted the attention of something outside of the known galaxy...something that has waited a long time to see someone with that ability rise again. They watched Vader via Snoke, and they were priming Kylo; now is their time to strike! ...or just a McGuffin that was made by using/fusing the Dark Side and the Light Side*, continuing on the theme of TLJ that there needs to be Balance - that Ben Solo can't be saved because he doesn't need to be saved. Ben Solo needs the Dark Side, but he doesn't need to be Evil. *They've been teasing this since Rebels and it's a noticeable thing from the Poe Dameron comic run. Driver's short time in Jordan was possibly because he acted in ForceSkype scenes? If everyone else (well, many) where there for longer times but Driver just spent a few days there, my bet is he was there to record such scenes with Ridley. That way she can die again from another broken heart once she learns that her kids have died. I like it!